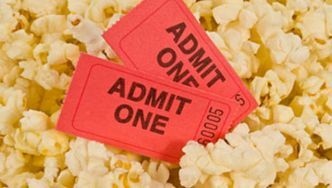 How to find movie theater discounts - Hotels Etc., Inc.
Have you ever wondered why movie prices are always so high? Have you ever searched for a good discount on movies besides a matinee and found them to be few, far between, or falling short of a significant bargain? What most of us do not know is that for the first month or two of screening, money from ticket sales goes directly to movie studios. Theaters rely on concession stands to make the majority of their profit. That’s why concessions and services bring with them such a hefty price tag. Popcorn costs almost nothing to make. This nuisance will worsen soon, as the nation's No. 1 chain of movie theaters, Regal Entertainment Group (RGC), goes public. In an initial stock offering led by Credit Suisse First Boston, Regal expects to raise $284 million. Most of it will go to repay debt. But a chunk is earmarked for Regal's plan to turn its theaters into a satellite-linked digital network for showing ads every bit as sharp as those we see at home on TV. These terms also suggest that public investors will be paying a premium for something that they can find a lot cheaper elsewhere. On top of that, Consumers can buy a DVD player for approximately $40 USD or less and a DVD rental for as little as $1.50 USD. Popcorn and soda for a family costs about $10 USD when bought at a supermarket or convenience store. That’s $54 USD for a family movie night at home, plus there's not charge for gas or parking. Since the family now owns the DVD player, the next movie night may cost about $14 USD. Blu-ray™ player prices have dropped as well, to less than $100 USD for some models. With comparisons such as this, it’s no wonder that it’s harder than ever to enjoy the theatre experience. And yet, as hard as it is and will become to receive a discount on movies shown in theatres, there are some options that the consumer can consider. Since movie showing rights for theatres is service they must pay for, they cannot offer substantial discounts for their showings to the public. This is where private membership programs (such as Hotels Etc) can flex a little muscle. These programs offer theatre companies to sell vacant seating in their theatre without having to post a discounted price to the public, allowing them to confidentially receive a profit without having to drop their prices to the entire showing. The smart consumer will take full advantage of these incentives by signing up with one of these discount programs, but choosing the right one can sometimes be difficult. Hotels Etc can simplify that decision as we offer much more than just discounts on movie showings. All you have to do is sign up and start searching our discount engines to find excellent savings on tons of goods, services, and recreation. We offer some of the best discounts on the web because for over 20 years, Hotels Etc has been working to provide its members with discounts not available to the public by taking the hassle of haggling for a good discount yourself out of the equation. So if you are looking to have a great time at the movies or anything you do this summer, consider Hotels Etc for your discount provider and start enjoying you hard-earned dollar. How to find movie discounts.